The workshop “Metaorganisms in Extreme Environments” to be held at Kiel University in March 29-30 2017 will bring together researchers from King Abdullah University of Science and Technology (KAUST) and the Collaborative Research Centre 1182 at Kiel University using plant and animal model systems to gain insight into the cellular and genomic events underpinning the origin and evolution of metaorganism diversity and complexity in extreme environments. of the German and Japanese Societies of Developmental Biologists, 15 – 18 March 2017 Kiel, Germany. 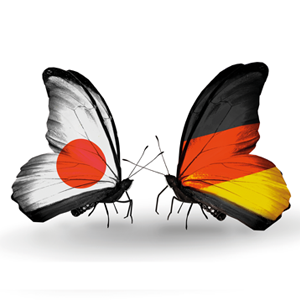 As President of the Society of Developmental Biology (GfE) , Thomas Bosch is inviting to a joint meeting of the German and Japanese Societies of Developmental Biologists, 15 – 18 March 2017 Kiel, Germany. For more information please visit the homepage of the meeting: gfe-meeting.de. In a series of short interviews Thomas Bosch talks in the Collaborative Research Center “Origin and function of Metaorganisms” with leading experts in symbiosis research which have initiated a paradigm shift in the Life Sciences: organisms, health and disease are fundamentally multiorganismic. Prof. Hendrik Poinar of McMaster University lines out how ‘time travel’ via ancient DNA-studies helps to unravel the evolution of early ancestral holobionts.